I got this as a gift from my favorite person. Since this was given as a present, i dont have any idea how much it costs to purchase these things. A quick search online however reveals it cost around P1,600.00. Touch Mobile or TM offers affordable prepaid call, text and data promos. This is suitable for subscribers who are on a tight budget. TM’s Prepaid Promos are popular for their great and unlimited services. They made unlimited promos to let their subscribers stay in touch with their friends, family, co-workers, and loved ones. These promos allow you to revel in texting and calling throughout the day. With mobile data promos, you’ll have that feeling of satisfaction in browsing FB (Facebook), Twitter and IG or Instagram, engage in online games like ML (Mobile Legends) or AOV (Arena of Valor), stream videos continuously on YouTube, Vimeo & Daily Motion. Relish these call, text and internet events by registering to Touch Mobile Promos. 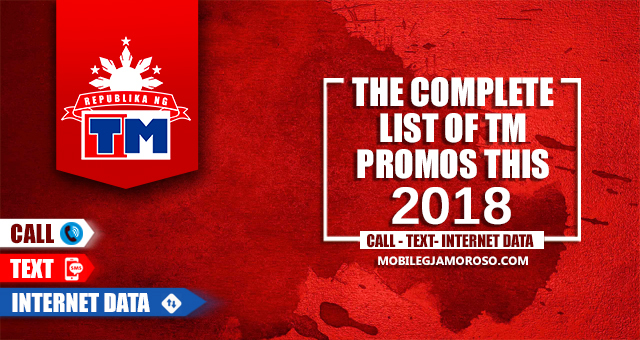 Without further delay, we give you the thorough list of Touch Mobile’s Prepaid Call, Text & Data Promos offered this year of 2018. Pick the wanted promo that will suit your budget and simply text the keyword to 8080 in order to register. REMINDER: TM HIGHACTIVE Promos previously TM TODO, are accessible to a number of Touch Mobile SIMS only. Subscribers can use 500MB data per day to all sites, however it's is not counted in in the successful validation message. Check the status of your promo by texting GHREW to 8080. To elude unwanted data charges, simply text SURFALERT ON to 8080. See full details on EXTEND TM Promo. TM GOSURF or TM EasySurf Promos is the equivalent of Globe GoSurf Promos. TM EasySurf Promos includes a large amount of data + free 2GB YouTube, AOV-Arena of Valor, other online games and videos for EASYSURF50 up + freebies to select. Selections for free applications: FB, Viber, Snapchat, Online Games (Arena of Valor, Mobile Legends, Pokemon GO, Clash of Clans, & Clash Royale), Twitter, IG-Instagram, YouTube & Daily Motion, Spotify, or musically; HOOQ & Disney are accessible freebies for EasySURF599 & 999. To select a freebie simply text EZ# <freebie keyword> to 8080. For instance we choose EASYSURF50, here are the sample arrangements: Facebook - EZ50 FB, Twitter - EZ50 TWITTER, Instagram - EZ50 IG, Snapchat - EZ50 SNAPCHAT, Viber - EZ50 VIBER. For Mobile Legends, Pokemon Go and COC, use the keyword EZ50 GAMES. To check the remaining MB or data balance inquiry, simply text EZ STATUS and send to 8080. To end your current EasySurf subscription, text EZ STOP and send to 8080. You will then receive an SMS notice from Touch Mobile about the info of your promo. TM GG (Good Game) Promo - TM Mobile Gaming Promo that comprises data allocation for the these 12 mobile online games: Clash of Clans (COC), Mobile Legends (ML), Pokemon GO (POGO), Arena of Valor (AOV), Clash Royale, VainGlory, Summoners’ War, Marvel Future Fight, Legacy of Discord – Furious Wings, Lineage 2: Revolution, Candy Crush Soda and Candy Crush Saga. TM’s secret promo is a special promo by Touch Mobile giving discounted or cheap prices and free MB's when you search for the accessible promos enumerated on this menu. It displays different types of deals intended for every SIM cards based on subscriber’s lifestyle, latest subscription and history of usage. To subscribe in the promo you must use TM USSD code menu by dialing *143# on your mobile phone’s menu. Choose from list of tipid hacks accessible. Choose option 1 to subscribe. Other deals give you a 20% discounts to certain promos, free data and FB use at a more affordable price. Reloading your TM account again and registering to its Promos will let you earn certain points which you can use to trade in rewards like mobile promos, additional points to Partner Stores and much more. We posted before a compilation of GoSurf bundles that Globe subscribers can avail. Click this link to view. Its a bit outdated now because Globe has just recently created a promo that adds up an additional 2GB of data that you can use to WATCH or PLAY on your phone. This is for a limited time only so grab it while it is still here. How to check my remaining allocation? If you have questions, drop them below. 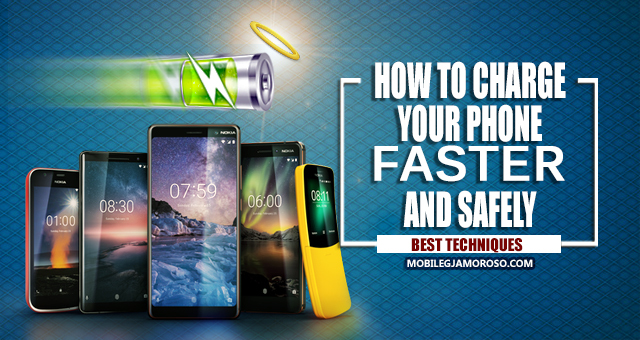 It is disappointing to spend well-earned money on a high-end smartphone only to find that the fast and smooth performance that you’re expecting remains out of reach or somewhat hard to achieve. 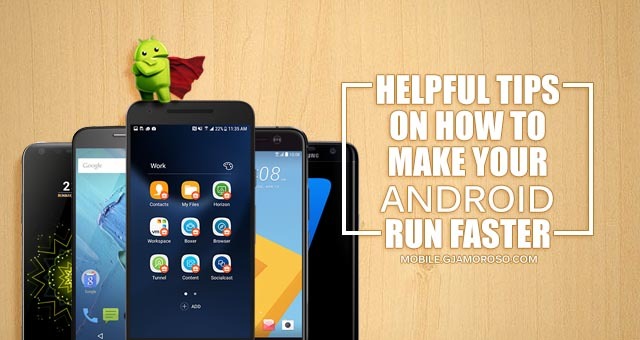 However, there are several methods to boost up that android performance. Here are some helpful tips that you can do to make it work faster.